Simran Hans is a writer and film critic for The Observer in London. Akhavan is fascinated by the moment of seduction, like the precise tipping point when a playful kick turns into a nudging invitation. She is also interested in the moment when the spell breaks. The meticulously detailed wasteland that Anderson has created is rendered with his typical craft and care . . . 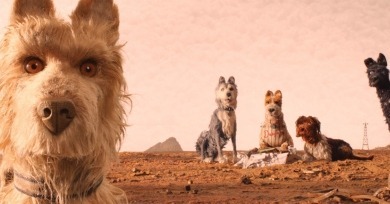 Yet in ethnically delineating its humans, the film sets up a curious, racially coded divide between dogs and the Japanese.